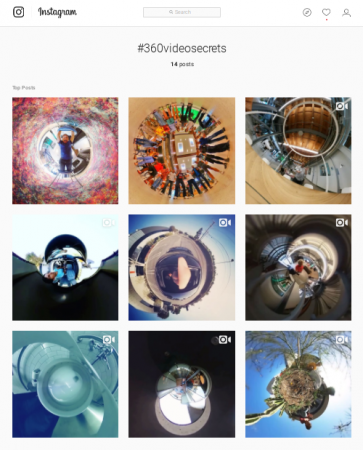 Last Sunday, I joined the 360 Video Secrets workshop by Ben Claremont (Life in 360). I was there as a presenter (for a segment about choosing a 360 camera) but I also learned many things and the workshop had immense value for me. Here are the most important things I learned. 1. Social Media. These days, your business can’t get ahead without being at least competent at social media. Ben’s social media channels on Instagram, Youtube, and Facebook have grown very quickly and in the workshop, he shared many of his secrets for his rapid growth on social media. 2. Paid work. One of the guest speakers at the workshop was Alex Ruhl, the founder of Cats Are Not Peas, a VR production studio. She talked about how she got started, and discussed how to get paid work from clients. 3. Shortcuts. Besides techniques for 360 videos, Ben also shared shortcuts learned from his experience — shortcuts that can save both time and money, and sometimes with even better results. 4. Inspiration. 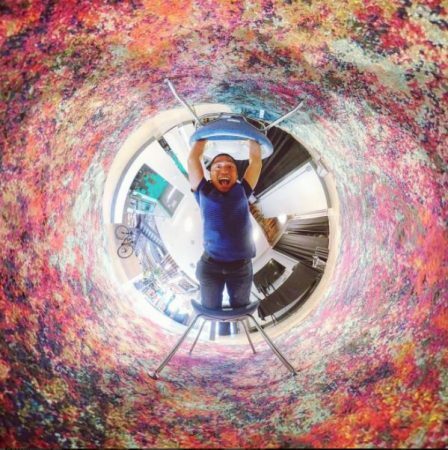 In the practical portion of the workshop, we shot tiny planet videos and it was interesting to see creative ideas from everyone. You can see some of the work submitted by participants during the workshop portion here. 5. Contacts. Probably the most important part of the workshop was the networking. Personally, I’m not good at networking but perhaps because 360 is such a small world, that it was easy to get to know the people who were there. So, besides meeting up with Ben in person for the first time, it was great to meet Alex Ruhl and learn about getting paid work. I also got to see Hugh Hou of CreatorUp. Just speaking with him, I learned many YouTube techniques. Believe it or not, the workshop is free, thanks to sponsorship by Ricoh. There will be other workshops in San Francisco, New York and Vancouver. If you’re anywhere near a workshop, I highly recommend going. To RSVP, check out Life in 360 on Facebook. For everyone else, FYI some of the videos from the workshop will be posted to YouTube.